In 2004 José M. Hernández became the first migrant farmworker to become a NASA astronaut. An impressive achievement in itself, Jose’s accomplishment is even more amazing when you realize the journey he took to get there. Born into a migrant farm working family from Mexico, José – who didn’t learn English until he was 12 years old – spent much of his childhood on what he calls the „California circuit,” travelling with his family from Mexico to California’s southern San Joaquin Valley each March, then working their way northward to the Stockton area by summer, picking strawberries, cucumbers, cherries and tomatoes along the way. In late November, they would return to Mexico spending Christmas and waiting for March to start the cycle all over again. While in California, Jose’s weekends were filled with laboring in the fields with his family, and while the end of the school year meant summer fun for his peers, it meant working 7 days a week in the hot summer fields for José and his family. The neighborhoods he lived in were often dangerous, filled with drugs, alcohol, and gang violence. There was also the issue of growing up in a bicultural environment as a Mexican-American and the prejudices that came along with this label: too Mexican to be American, too American to be Mexican. Through all of this, Jose’s parents stayed strong and focused on their children’s education which allowed José to dream of one day reaching the stars. Determined to fulfill his dream, José obtained his undergraduate and graduate degrees in Electrical Engineering. 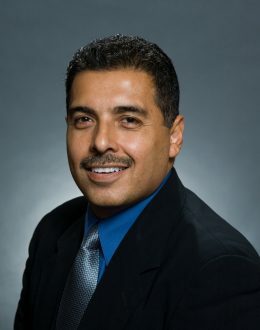 After a successful career as an engineer and scientists at Lawrence Livermore National Laboratory, where he worked on the development of an X-ray laser, helped developed the first full-field digital mammography system for the early detection of breast cancer and worked in the nuclear non-proliferation arena, José was selected as part of the 19th class of U.S. Astronauts in 2004. On August 28, 2009 José, assigned to the STS-128 Space Shuttle Discovery mission as the flight engineer, realized his dream of reaching for the stars blasting off into space on a 14 day mission to the International Space Station. José’s inspiring journey of perseverance and hard work is a true fulfillment of the American Dream.